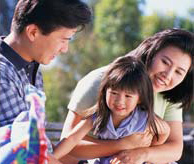 A "well child" check-up should include a developmental screening test. A parent's observations and concerns about development will be essential in helping to screen a child. Reviewing family videotapes, photos, and baby albums can help parents remember when each behavior was first noticed and when the child reached certain developmental milestones. Several screening instruments have been developed to quickly gather information about a child's social and communicative development within medical settings. Among them are the Checklist of Autism in Toddlers (CHAT), the modified Checklist for Autism in Toddlers (M-CHAT), the Screening Tool for Autism in Two-Year-Olds (STAT), and the Social Communication Questionnaire (SCQ) (for children 4 years of age and older). The Checklist for Autism in Toddlers is a short questionnaire. It’s filled out by the parents and a primary health care worker at the 18 and 24 month developmental check ups. It aims to identify children who are risk for social-communication disorders. The M-CHAT (Modified Checklist for Autism in Toddlers) is the tool that the American Academy of Pediatrics’ Autism ALARM program recommends for screening. Some screening instruments rely solely on parent responses to a questionnaire, and some rely on a combination of parent report and observation. Key items on these instruments that appear to differentiate children with autism from other groups before the age of 2 include pointing and pretend play. Screening instruments do not provide individual diagnosis but serve to assess the need for referral for possible diagnosis of ASD. These screening methods may not identify children with mild ASD, such as those with high-functioning autism or Asperger syndrome. During the last few years, screening instruments have been devised to screen for Asperger syndrome and higher functioning autism. The Autism Spectrum Screening Questionnaire (ASSQ),13 the Australian Scale for Asperger's Syndrome,14 and the most recent, the Childhood Asperger Syndrome Test (CAST),15 are some of the instruments that are reliable for identification of school-age children with Asperger syndrome or higher functioning autism. These tools concentrate on social and behavioral impairments in children without significant language delay.